I am Pan, Io Pan, Io Pan Pan! Pan! Flesh to my bone, flower to thy rod. Io Pan, Io Pan Pan! Pan! Io Pan! Pan has become a part of my life for a few years now – he doesn’t seem to go away. Not only does he, as a God, make me raise an eyebrow, but so do Cernunnos and Herne. It seems it’s best to combine this triple-god into one and name him the Horned God. As he seems to be a large part of my life, he’s become my patron god. For a long time now, any images of Pan, Herne or some horny fellow has taken my interest, in jewellery, artwork, statues and even men. Clearly I desire some sort of lover in his form, and in this way Pan came to me recently, in a fleeting love affair, or so I believe. But that’s another story! Io Pan! 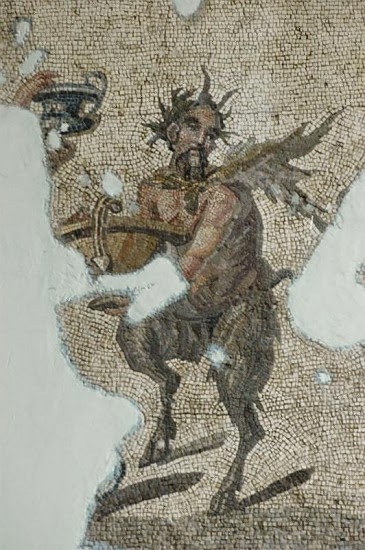 For years, I’ve been interested in Pan or Cernunnos in fiction, and have been recently collecting stories all for an article, which I do not know will ever be published. For now I will put some of it here, on this blog. Mostly I take a note from Ronald Hutton and talk about Pan’s popularity within fiction and poetry in the late nineteenth and early twentieth century. In the age of Romanticism, Pan made a successful comeback into modern fiction, away from Arcadia and the interference of the Classical Gods. As I love stories, I have focused on these short tales involving Pan, which I have categorized and summarised. 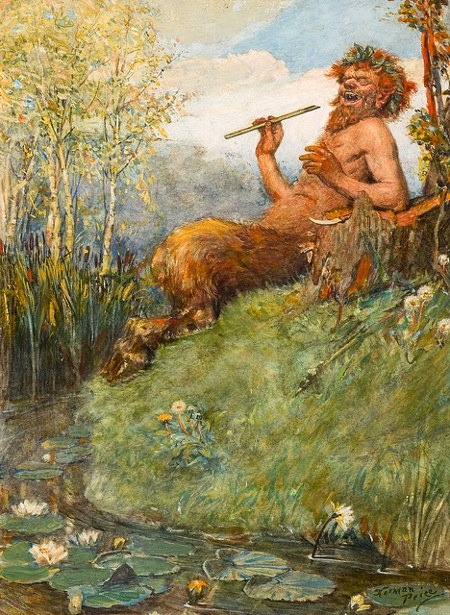 Of all the Greek and Roman Gods to inspire and indulge the human race, Pan appeared within more literature than other Gods just before World War I. Professor Ronald Hutton himself dedicated an entire chapter to the return of the pagans’ God Pan, within novels, short stories and poems of the late Victorian and Edwardian period within his book Triumph of the Moon (1999). 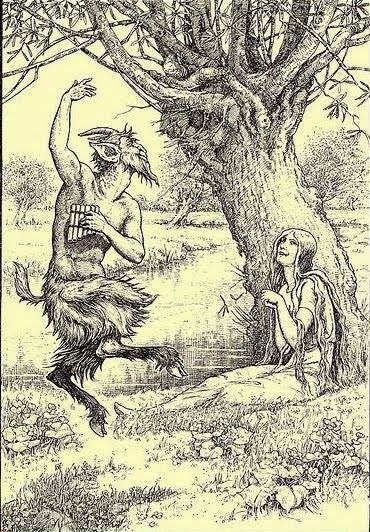 In classical times, Pan was considered ‘a comic-grotesque little country god’ – a kind of fool to the other Olympian Gods, a drunken, sexual deviant - a lesser god. Other gods entered into literature of the English and have done so since medieval times. One of them was Apollo, the handsome sun god of art and poetry. Who would have thought that this exceedingly attractive God fell in favour of the drunk, hideous Pan within the Victorian Era? Thanks to the poets and artists of the Romantic Age, Pan became an attractive representation of the émigré God of rustic England. He epitomized the Summer months, the shady glades of mid-afternoon, an agricultural God for those who revered the swards of Old Albion. England created their own image of Pan; gave him beauty, made him a pastoral pagan local god - a green Jesus - transporting him from the Ancient World, and welcoming him into their green and pleasant land. As the sciences began to take over academic thought in the nineteenth century, so did a new kind of magic and polytheism, and a regretfully lost connection to nature. Even with the British people’s familiarity with their landscape, they still sensed that awe of panic that Pan evokes. The panic is still out there – whether you are acquainted with the landscape or not. 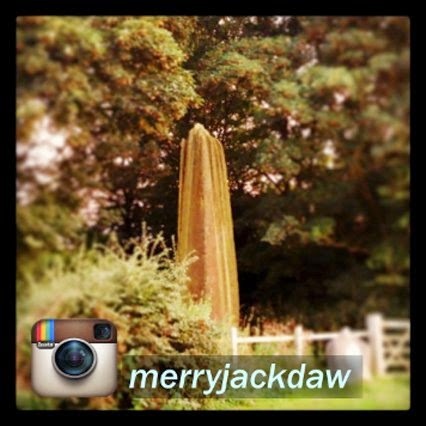 It appeared these artists, poets and writers anticipated that Arcadia must come to England. Then Pan in stories and poetry abruptly stopped. The inception of World War I certainly did not help, the quixotic peacefulness England had enjoyed for almost a millennia, had been challenged by attacks from Europe. Not many of the English were quite the same after this war, were always on their guard, and perhaps did not get so lazily idealistic ever again. Pan enters literature in many aspects during this time. From hero, to helper, to lover, his connection as Nature God is never forgotten, no matter how much he meddles with mortals. These aspects that appear to emerge from the stories come into these categories – Pan as fear and terror, the sexual energy, the accepted god, the ‘Friend and Helper,’ corrupter of the clergy, lover, and hidden presence. Each category overlaps with each other in many combinations; each story captures some of these features. E. M Forster’s short story The Story of a Panic (1902), Pan’s rambunctious energy completely terrifies a crowd of English tourists on a hill in the Italian countryside, scattering them blindly into the woods - all except for a lazy, spoilt and repellent English teenage boy, who is possessed and seduced by the God. The boy, Eustace, who was not afraid, never recovers from his meeting with the God, rolling in His ‘scent’ after the encounter, delving into the woods here and there on the return to the hotel. His behaviour disgusted the English compatriots who were with him, and even after his epiphany which improved him as a person, he was still treated as uncivil and bad-mannered - his panic was not a fear of Pan, but a fear of being trapped inside away from Nature. In A Touch of Pan (1917) by Algernon Blackwood, an egocentric couple indulging in adultery feel the terror of Pan when they delve into his domain, a pine forest. In Saki’s (Hector Munroe) short tale, The Music on the Hill (1911) Pan, an invisible presence but for his statue, sends a stag to fatally gore a woman, the new wife of a rural lord who worships Pan along with the local laymen. The wife, destroying an offering to Pan, dies as a result of the insult. In A Touch of Pan, panic and lust both occurs. Blackwood’s otherworldly protagonists, Heber and Elspeth, both accept the Great Gods’ lustful blessings. Heber, a thirty year old, decides he dislikes his aristocratic fiancé Hermione, and is now enamoured of Elspeth, an otherworldly teenager, who dislikes society and prefers to go barefoot outside ‘to play with her kind.’ The two make plans to tryst and leave the condescending and pompous house party hosted by Elspeth’s parents, they frolic in the long grass, make love, and eventually join the fierce reverence of other fauns in the veneration of Pan Himself. Homosexual love was also esteemed by Pan in tales. In Forrest Reid’s The Garden God (1905), a young boy Grahame falls in love with a boy named Harold at his boarding school, seeing Harold as the God Pan, and loving him completely. In E. M Forster’s The Curate’s Friend, (1911) the faun makes the protagonist’s love interest fall in love with another man. In a way, Pan acts as a lustful Cupid. In my opinion, one of the best books about Pan from the early twentieth century is The Blessing of Pan (1928) by Lord Dunsany. A village in or around Wiltshire called Wolding, has its inhabitants meeting in the woods, drawn by haunting panpipes. One boy, Tommy Duffin, playing the panpipes which were a gift from Pan, entices other villages to fall under his trance. 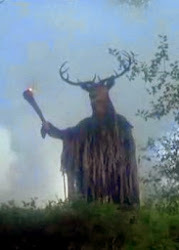 Eventually, the entire village succumbs to the enticing piping and worship of Pan at the old Stone Circle on the hill. The village, after it’s yielding to pagan worship, settled down into tranquil rural isolation, both self-sufficient and disconnected from the outside world. A sequel of sorts was written by Charles de Lint with his book Greenmantle (1988). Pan and the Twins (1922) by Eden Phillpotts, is set in Ancient Rome at the arrival of Christianity. The protagonist Aradius, a supposed orphan, and worshipper of the Nature God, becomes Pan’s friend. Pan rescues the abandoned slave youth by healing his wounds, and telling him who his father is. Once reunited with his father and becoming heir, Aradius meets his long lost twin brother Hilarion, a Christian priest who chooses to become a hermit in a cave on his brother’s land. Hilarion accepts the presence and existence of Pan, despite being very pious. In The Wind in the Willows, Ratty and Mole and the animals of the River and Wild Wood are like Pan – half man, half animal, but they speak and dress in clothes, row boats, drive cars (badly) and live in houses. Pan is physically half man, half animal, and that makes him the perfect God for them. They revere the earth, the river, the woods, and the sun; why not have a guardian God that represents those? It interests many readers to watch one religion being tarnished by another. Most people want to know where it ends up; stay loyal and trust faith, or change sides. Priests being confronted by Pan or his energy either accept it, or simply find his existence a distraction. 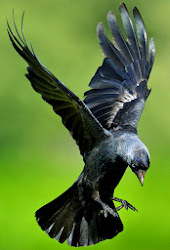 It thrills pagans to read this – to have a pagan seduced and blessed by the Christian God is common enough in stories, but to have it happen the other way around is decadent. The Blessing of Pan, is the ultimate corruption of the clergy. The Vicar of Wolding, Elderick Anwrel , tries desperately hard to prevent his entire congregation from falling into the evil and unknown vices of pagan worship, but fails, in turn becoming the High Priest of Pan. The priest Harry in The Curate’s Friend, is at first appalled by the visitation of the faun when he is the only one who can see it. The faun teaches the priest to laugh and accept everything, which he does. Harry from then on sees the chalk downs - the earth - as a living thing, he hears it speak, whisper and sleep. Hilarion the hermit priest in Pan and the Twins does not become pagan, but he does listen to Pan’s advice and give up his hermit life to marry the woman he loves and help the unfortunate and oppressed. To not see or hear Pan’s name, but to feel him near as an agreeable presence as an ‘anti-panic’ occurs a lot in many of the more subtly themed stories. The Wind in Willows is a prime example – the Rat and Mole feel him as they row towards the island in search of their friend. 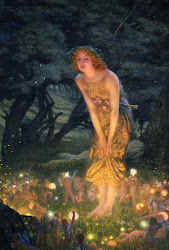 In The Garden God, Grahame experiences Pan by a cricket pitch, while all the boys are distractedly playing, and later both he and Harold feel him when they make a shrine to him by the sea; to them he is the Unknown God. Tommy Duffin in The Blessing of Pan must have felt the influence, and been possessed by Pan, to be able to pick up the panpipes and begin playing, even without his knowledge of any tunes. While this manifestation is more pleasant than a Panic, it still justifies that Pan can have a gentler side when he is in the vicinity of humans. It’s become one of my favourite subjects, a pagan God seducing the earthbound mortals. It is strange that Pan himself, a raucous, sexual and savage entity, should inspire the writers of civil England, especially in the time between 1895 and 1918. Perhaps the onset of the Industrial Revolution and the removal of people from rural England into the satanic mills and blackened cities, encouraged writers to help the lay people remember the pastoral and the genius loci. The Romantic Age of the nineteenth century brought not only a surge of interest in romances like Arthurian and Robin Hood legends, but a growing interest in the old Gods, not so much to worship, but a frame for rural romanticism. 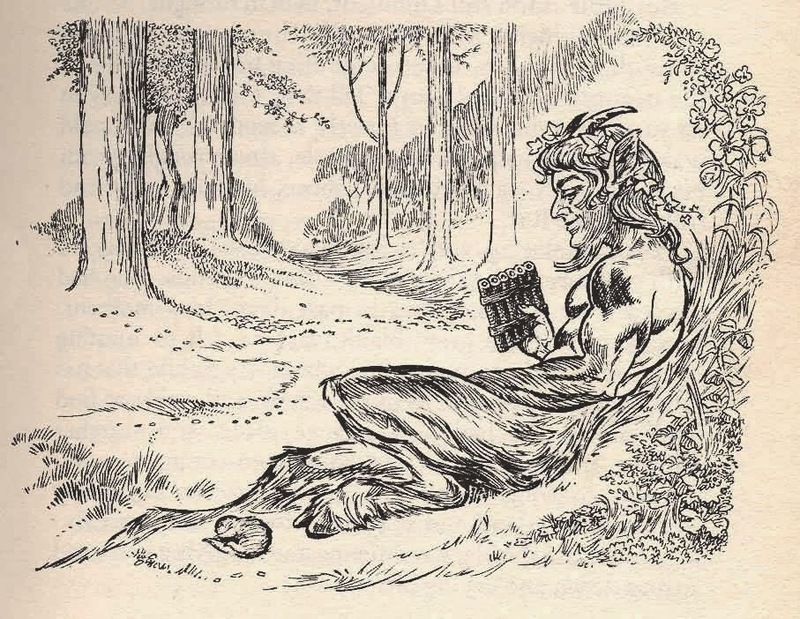 Today, Pan or the Horned God often turns up in fiction as a battle between good and evil. In the Edwardian era, it seems he was just a decadent presence to accept. 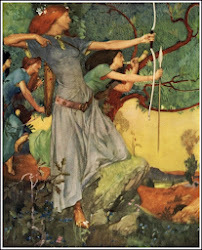 But I love these stories – The Blessing of Pan and A Touch of Pan especially. Blackwood’s tale really inspires my own writing, and indeed, I’ve written my own love story involving Pan, however it was written 12 months before I read Blackwood. Pan will forever be lover and friend to me – in my stories and life, and in these tales I feel closer to him, as every aspect of the author’s mind. Pan has been made Romantic, and that certainly suits the pagans of today. Thank you for all these links! I was listening, yesterday, to an old lecture by Ronald Hutton about Pan, and thought I would go in pursuit of some of the stories he mentioned. This blog post saved me a lot of time.